Things are beautiful simply because people decide they are. What is a terrifying storm to some is a stunning display of nature to others. A dandelion is either seen as a colorful dab of yellow against a sea of green or a pest that needs to be destroyed. 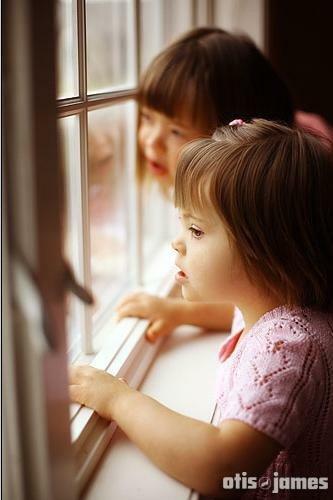 Children born with disabilities and Down syndrome are seen by many in other countries as simply worthless, people who add nothing to society and never will. But when other people see these children as beautiful, they become beautifulbecause when things are seen as beautiful, they are finally given the chance to bloom. Kevin and Paula Burckhard, both born and raised in Minot, have five children who are near and dear to their hearts. Three of them, Elizabeth, 21, Samuel, 17 and Grace, 15, are their biological children. When Grace was born, their life took an abrupt and unexpected turnshe had Down syndrome. "Everything we had hoped and dreamed for her life seemed to be taken from us in an instant," said Paula Burckhard, of the memories of the day at the front of her mind. "Like many parents that experience the same thing, we grieved with our family for days. We kept wondering why she had been born like this and I knew everything was going to be different." As Grace grew up, her parents were fearful that she would be looked at differently, taken for granted and judged by others who crossed her path. Her mother said the one thing she clinged to, day after day, was the meaning of her name, chosen before she had been born. Grace means, simply, "blessing undeserved." One day, Grace and her mother were at a coffee shop and a girl walked in. She was dressed in black from head to toe, and Paula Burckhard remembered wondering how her mother let her go out in public like that. "I said to myself, 'Oh no, she doesn't look like a very nice girl.' Then she walked up to Grace and I paused, ready to interfere. I watched as she knelt down and looked Grace in the eyes, then simply said, 'She's just beautiful,'" Paula Burckhard paused, her voice breaking. "That moment changed everything for me. It made me stop wondering if people were judging, like I just had, and start realizing the beauty and potential of our daughter." After watching Grace grow into a unique, light-hearted gift that seemed to light up a room wherever she went, the Burckhards looked into adoption. They discovered Reece's Rainbow, an organization that finds families for orphans with Down syndrome and other special needs through adoption grants and promoting awareness. "The things we learned were shocking," said Kevin Burckhard. "In Central and Eastern European countries, children born with disabilities are abandoned every day and put into orphanages and foster homes. Around age five, these children are put in mental institutions because they're seen as outcasts with no ability to learn or be functional members of society. Many of them don't survive beyond a few years." According to Reece's Rainbow, there are more than 1.5 million children in Europe alone who have been abandoned by their families and are living in public care. Over 2,000 of these are children with Down syndrome, often passing away at a young age because of a lack of medical attention, a lack of food and a lack of love. One of these children, Bella, was born with Down syndrome in Ukraine and left at the hospital after her birth. At 4 years old, she was scheduled to be transferred to a mental institution in less than a year. The Burckhards intervened. After a nine-month adoption process, they visited Bella for two months and took her home on Aug. 20, 2009. "She took to me the very first day, and called me 'mama' the second day we met her," said Paula Burckhard, a smile breaking across her face. "She had never even left the orphanage since she was placed there after birth. We had to teach her to walk up and down stairs, since all they had at the orphanage were ramps. She had only eaten baby food, so solid food was new to her, too." The very first night Bella was brought home, she was taken to her new room that she would share with Grace. Being in an entirely new place with a new bed, room and big sister, the Burckhards hoped the night wouldn't be difficult for her. Paula Burckhard said that when they looked in their room the next morning, both girls had moved their pillows and blankets to the floor in the middle of the room and were sleeping right next to each other. Now, Bella is 10 years old with a love of gymnastics, dressing up and dancing. She participates in the Minot Special Olympics each year and her mother said that "everyone loves her." On March 2, 2011, the Burckhards adopted their second child, Nol, from an orphanage in Serbia. 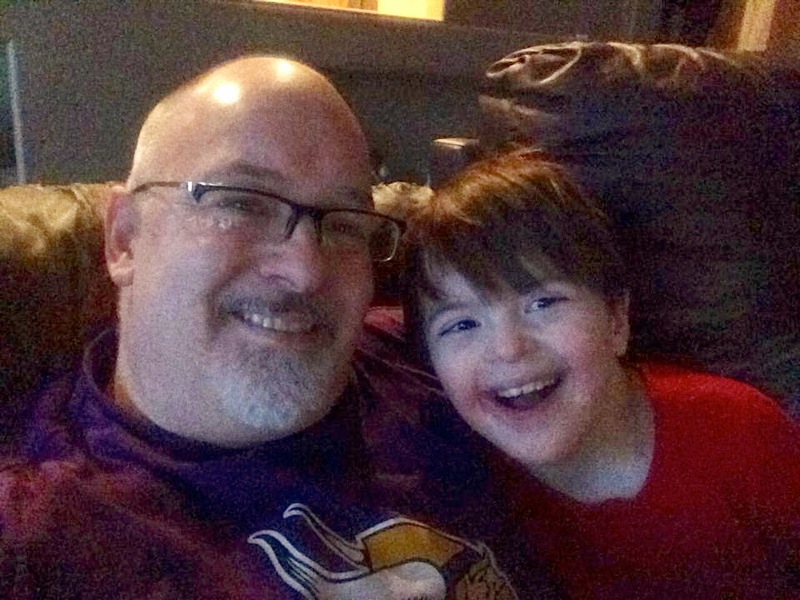 Nol was born with Down syndrome and his biological father had told his mother that he would not stay with her if she kept him. He spent his first years of life in a foster family and still keeps in contact with them even now. "He's a lady's man," said Paula Burckhard, laughing. "He'll walk up to all the girls and wave to them and say, 'heyyy'." Nol's biological mother has the privilege of watching her son grow up over Facebook, as she and the Burckhards are now friends. On one occasion, she told the Burckhards that when great things happen to them, they use the saying "their spoon fell in honey." She said, gratefully, that when Nol was adopted by them, his spoon fell in honey. The Burckhards are in the process of adopting a final child, a boy named Simon, who was born with Down syndrome in Lithuania. It was posted that if he was not adopted by December 2014, he would be transferred to a mental institution for the rest of his life. 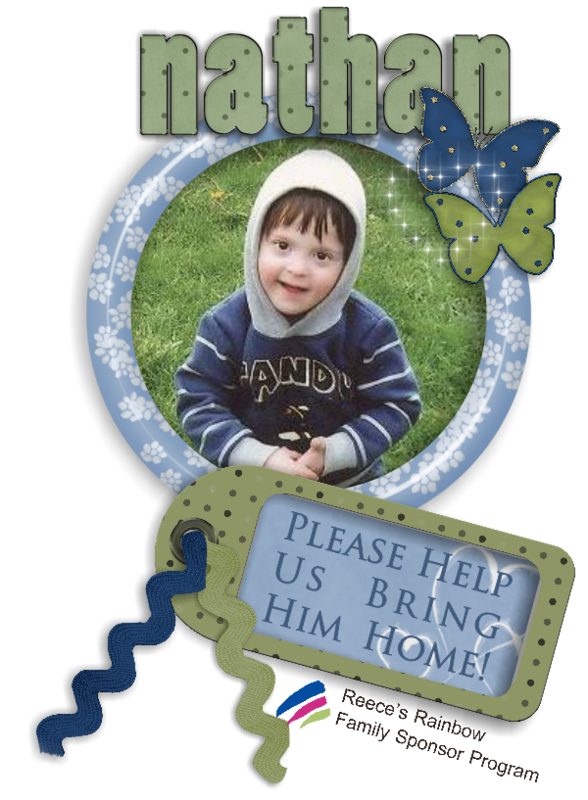 He is 5 years old and if everything goes as planned, the Burckhards will be traveling to his country in June to bring him home. Paula Burckhard writes about him often on her blog, wondering how it's possible to already love someone so much who she has never met, and saying that his future siblings already say they "miss their 'brudder'" and can't wait for him to come home. The adoption costs around $30,000 and they have raised around $25,000 so far, through donations and out of their own pocket. 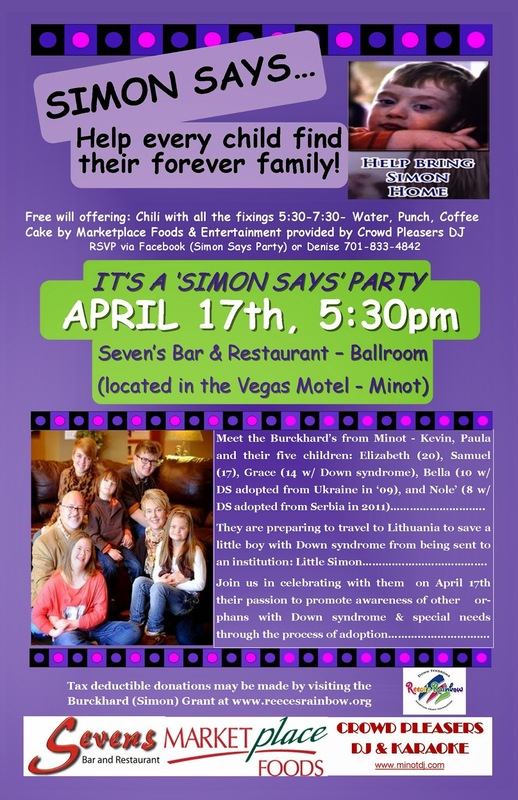 A "Simon Says" benefit is being held for the Burckhards on Friday, April 17 at 5:30 p.m. in Seven's Bar and Restaurant at The Vegas Motel to celebrate the blessing of children with Down syndrome, raise awareness for other special needs children that need to be adopted, and to help bring their little Simon home. Chili, karaoke, a silent auction and a free will offering will be taken for anyone who wants to help support their adoption. "We don't expect an emptying of orphanages because of this benefit," said Keven Burckhard. "If just one child gets adopted, then it will be worth it." "Grace, Bella and Nol have taught us so much," said Paula Burckhard. "Because of them, we have learned to slow down and stop worrying so much. They live every day for the day, they have no concept of tomorrow or yesterday. They truly enjoy the littlest things in life." Beside her, Keven Burckhard laughed as he suddenly remembered how Bella almost "threw my back out" with a hug when he brought chicken and fries home for dinner. "Our biological children have just always assumed that we'll be there for them, but Bella and Nola, they don't take us for granted," tears formed in his eyes. "So can you love a child like this as much as our other children? Yes. But the way they love usthat's something that is like nothing I've seen." Things are beautiful simply because people decide they are. And once that decision is made, beauty never looks back. Big News and Big Event! Hello! Can over two months have really gone by since I last blogged? I am a deadbeat blogger, that's for sure! That aside, I have exciting news to share: We are officially matched with Simon and are sending off our I-800 application to the USCIS tomorrow! There are a few more steps, but we could possibly even be traveling in June to Simon's country for his adoption. Also, two very kind-hearted souls, Denise Murphy and Missy Feist, are holding a special event to help raise funds and awareness for our adoption and the adoption of other orphans. It's called "Simon Says Party"! Isn't that just wonderful! The event is on April 17th, 2015 at the Vegas in Minot, ND. Please stop by....we would love to see you and celebrate! We still need about $5,000 to cover the costs of the entire adoption. To date, we have paid $17,000 out of pocket and have received $3,000 from our church. 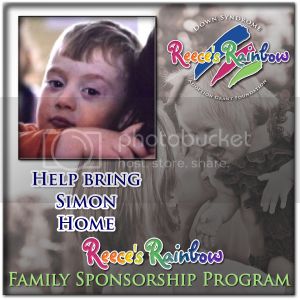 We currently have received many love gifts totaling $5,500 in our grant fund held at Reece's Rainbow. The grand total of this adoption will be around $32,000. Thank you SO MUCH to those of you who have given us gifts already. Thank you, also, for all of your prayers and encouragement. With your support, we feel that this is truly a partnership....we may not all physically adopt an orphan, but we can all help orphans by supporting families and others who serve orphans around the world. It's a team effort! So, Simon Says.... Let's Party! Every now and again, Kevin aka Daddy-O, shares his thoughts on Facebook. I am so thankful he has such a tender, compassionate heart. "Is it possible to miss someone you've never met?" Every Saturday morning, while we're cuddling with Nole', at some point he'll pause reflectively and say "I miss Simon!" Meanwhile, on the other side of the world, Simon is being told by a caregiver at his orphanage, as she shows him our photo, "this us your family, that's your mama and papa!" For over five years, he has watched this ritual play out time and time again: a couple visits a child at the orphanage and after a few weeks of these regular visits, the child leaves, the only home they've ever known to go be with their "forever family!" I wonder if Simon will be thinking, as he doses off to sleep tonight "I miss my brudder, I miss Nole!" Oh my....our Bella is totally into gymnastics and tumbling lately. 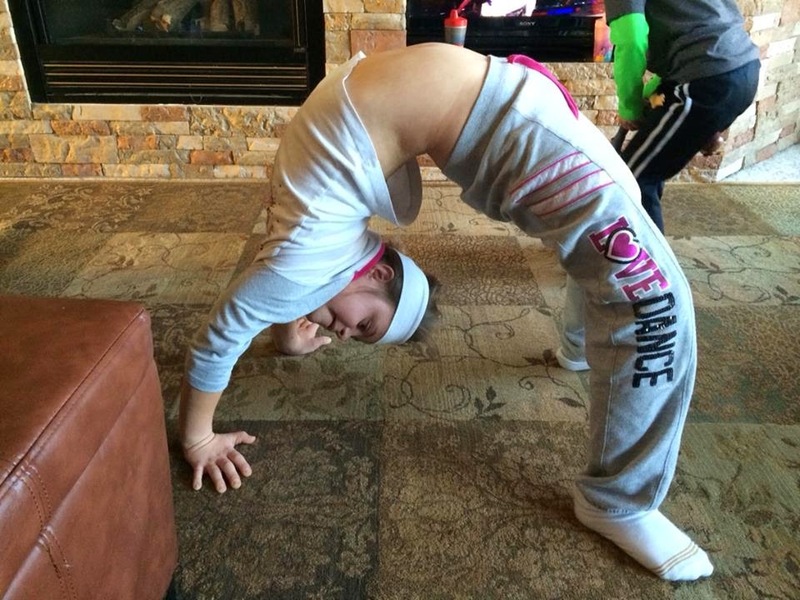 She continually bends, twirls, and does splits in home AND at school. She calls herself an acrobat. We joke and say that her birthparents must have been circus performers the way she can contort her body either hanging from a bar or even on the floor. Here is the shot of the day....Bendy Bella! Hello! My name is Paula Burckhard. 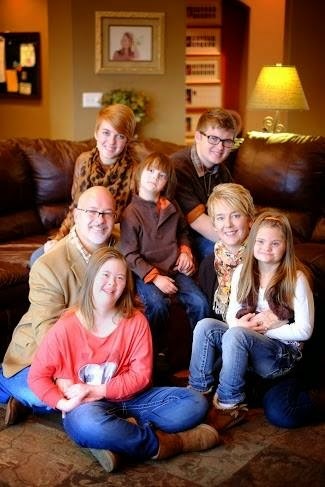 I am married to Kevin and have five children: Elizabeth (20), Samuel (17), Grace (14 w/Down syndrome), Bella (9 w/Down syndrome adopted from Ukraine 2009); and Nole' (7 w/Down syndrome adopted from Serbia 2011) We are a family that loves God and desires to bring him Glory in all we do. This "beautiful gift from God" has been given to us through the miracle of adoption. She became part of our family in August 2009. We are excited to see how God will use this Ukrainian princess for his glory! Nole' (listed as Nathan) Came Home on March 2, 2011 from Serbia! 8/07/2009 10 day waiting period over - She's ours! 06/23/2009 Met Bella for 1st Time! 06/10/2009 SDA appointment June 22nd!